Singing is a discipline that is accessible to everyone. At the Conservatorium we offer people of all ages a variety of ways to extend their creative expression, by exercising their love of music through the joy of singing. Individual tuition is available for students from upper primary school age to adults. The Conservatorium also provides a range of ensembles where students can improve their musicianship and develop ensemble skills in a positive, fun, environment. Lessons are available in blocks of 15, 30, 45 and 60 minutes. All times are negotiable; 30 minutes per week is the most popular length. 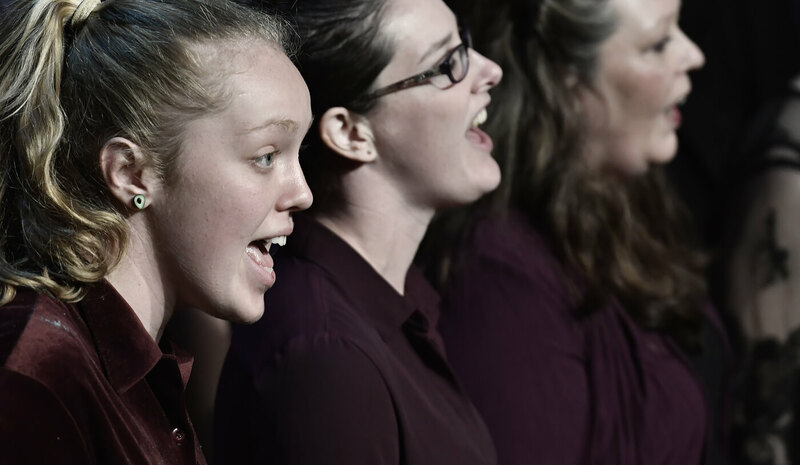 Vocalists can apply to join a range of vocal ensembles at the Con, including Junior Children's Choir, Senior Children's Choir, Tamworth Youth Choir, Vocal Performance Ensemble or the Conservatorium Chamber Singers. Contact the office for more information or download an enrolment form.